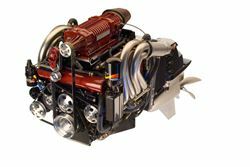 From 520 to 1750 Horsepower, Mercury Racing has an engine for everyone from a weekend warrior to a world champion offshore powerboat racer. 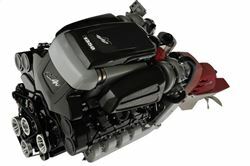 The 520 HP is Mercury Racing’s lowest model in terms of horsepower, but its features and capabilities are nothing close to entry level. 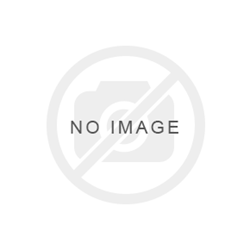 A great low cost sterndrive engine with 2-year limited factory warranty. 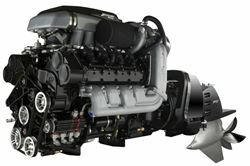 Bored 8.6 liter multiport fuel injected V8, 540 HP from Mercury Racing. 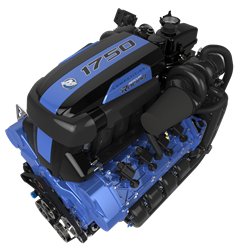 The 540 sterndrive engine provides unmatched low-end and mid-range torque getting you where you want to be..FAST. 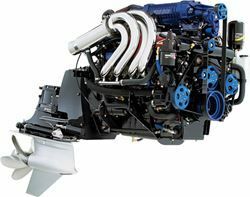 A great durable sterndrive engine with 2-year limited factory warranty. 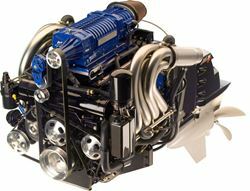 New Mercury Racing 1350 Sterndrive Engine. Does not include drive or prop. 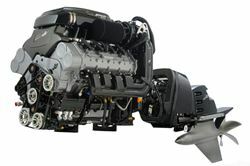 The best of the best...Mercury Racing's most powerful engine with 1,750 horsepower.